Election 2016 is very nearly wrapped up, at least in nationally noticed races. Yes, ballots are still trickling in; no one has called the U.S. House race in California’s 49th District, where Representative Darrell Issa narrowly leads Democrat Doug Applegate. There are fewer votes out in the North Carolina governor’s race, where Democrat Roy Cooper has a 6,600 vote lead over incumbent Republican Pat McCrory. In fact, nobody seems to think there’s any way McCrory can catch up with the votes still out, and Cooper’s lead has actually been increasing. The vote is close enough that McCrory could request and receive an automatic recount; that cannot happen until all the counties have certified their votes. But again, there’s almost no way a recount will change the result. So in the best North Carolina Republican tradition, McCrory is making claims of widespread voter fraud, mostly involving absentee or early in-person voting in heavily African-American areas. So far he’s made no real headway, and even the Republican-appointed State Board of Elections has refused to interfere — for now, at least — with the finalization of votes in all but one county. That would be pretty blatant thievery, but Tarheel Republicans do seem to pursue a policy the end justifying the means. 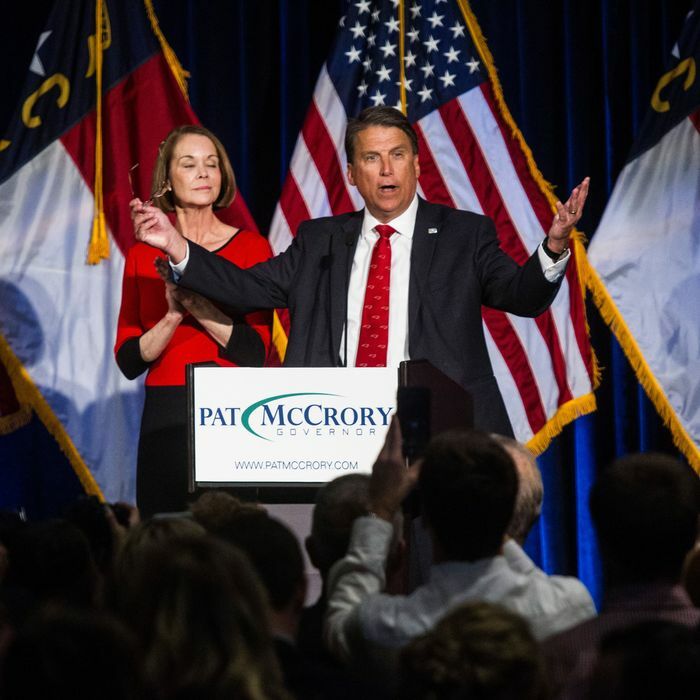 If McCrory is forced from office by the will of the electorate and a refusal of Republican legislators (who hold him in minimum high regard) to steal the election for him, it will break up one of the more aggressive GOP trifectas in state government. But it may not make a huge difference: Republicans have maintained supermajorities in both state legislative chambers. So Roy Cooper would have a hard time of it. But at least he would be democratically elected.